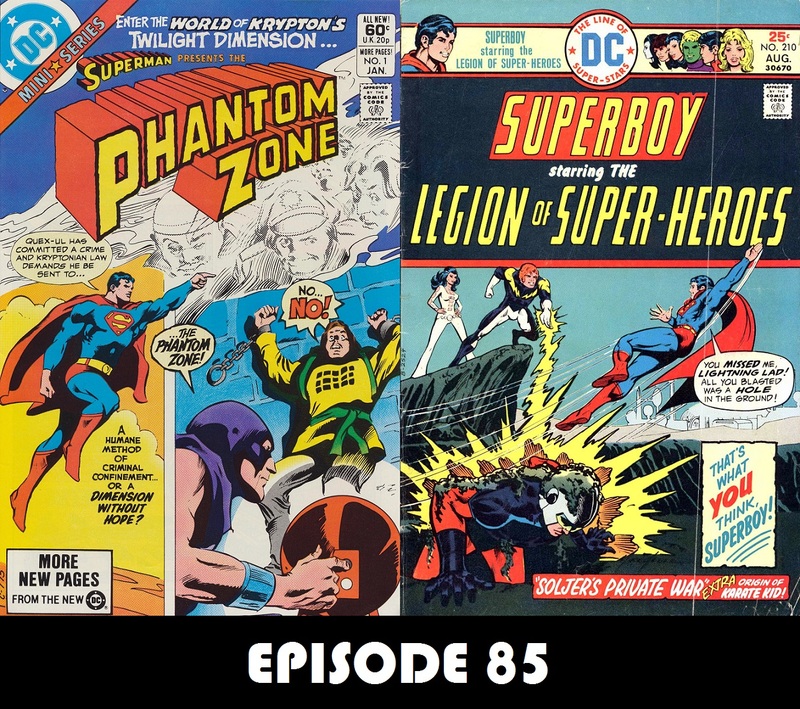 The Phantom Zone is home to some of Krypton’s worst villians, and in issue 1 of the Phantom Zone mini-series, we learn all about them, while being reintroduced to a long-forgotten character. Also, J David Weter covers an adventure of Superboy and the Legion for the final time. Superman in the Bronze Age is a proud member of the Superman Podcast Network and the Comics Podcast Network. You may also subscribe to the podcast through iTunes or the RSS Feed, or stream the episode on Stitcher Smart Radio. You can also download the episode directly here. If you would like to comment on the show or contact us, you can to so in the following ways: you can leave a comment below, you can leave a post on our Facebook page or you can email us here. You also private message us or leave a comment at the posting on the Superman Homepage. This entry was posted in Podcast by Charlie. Bookmark the permalink. Hello again! Another stellar episode. I forgot that I wanted to read the issue before listening, but I got so anxious to hear the episode, I forgot. (But I read it when I got home from work that evening) I have already read Issue 2 and eagerly await Charlie’s Geekcast to hear what you have to say. I liked issue 1 to learn more about the history of the Phantom Zone. I remembered the story of Quex-UL from reading my Tales Of The Phantom Zone trade. Did the “Charlie Kweeskill” just come from this series? I couldn’t find any other reference to it. I never got to read this mini-series when it came out because I never saw it where I bought comics. I am so glad that I have the trade paperback of it. Guess I’d better wrap up for now. I hope past-Charlie enjoyed his vacation. Bye for now! P.S. I wanted to fill in the blanks from my last email. I found out from my Mother how I am related to Ted Cassidy and Jimmy Stewart. Ted Cassidy’s Mother and my Grandmother were cousins. My Mom used to see Ted’s Mom sometimes when she went to Philippi, WV (where Ted was raised) to visit my Great Grandmother. I remember the story Mom has told about the first episode of the Addam’s Family. There was a big party of relatives gathered around the TV set to watch Ted as Lurch. A good time was had by all. As for Jimmy Stewart, my Great Grandfather and his Grandfather were cousins. So you see, in both cases, I am only related by rumor. It would have been nice to shake their hand. Bye!